Trouble detected in infamous dark matter signal. Dark matter is thought to compromise 85% of the material Universe. For 20 years, an experiment in Italy known as DAMA has detected an oscillating signal that could be coming from dark matter. One of the oldest and biggest experiments hunting for dark matter signal, DAMA is the only that claimed to see them. But the findings have generated much controversy because similarly sensitive experiments have not confirmed DAMA’s findings. As a result, some physicists argue that a more prosaic (but hitherto unidentified) process could account for the annual variation. According to other physicists, if these dalliances between the visible and invisible worlds really do produce DAMA’s data, several other experiments would probably also have detected dark matter by now. But, they have not. Now, two trials intended to reproduce the outcomes utilizing the same detector technology have exhibited their first outcomes. A distinct answer stays elusive, but the initial data from one experiment seems to be compatible with the first outcomes, the other detector’s discoveries point the other way. Scientists noted that: Due to these experiments and others schedule to come online soon, we could soon detect the mysterious signal’s nature. Juan Collar, a physicist at the University of Chicago in Illinois said, “There is really no conclusion to be drawn at this point, other than mounting suspense. But the instruments seem to have sufficient sensitivity to give conclusive results soon. Observation of the rotation of galaxies and the cosmic microwave background suggest that most of the matter in the Universe is invisible. This invisible matter also known as dark matter would prove its existence almost exclusively through gravitational interactions with other objects, but a host of experiments have been attempting for decades to pick up signs of its other interactions with ordinary matter. In 1998, scientists at the DAMA experiment buried deep in Italy’s Gran Sasso mountain claimed to have detected dark matter in the form of a weakly interacting massive particle (WIMP) weighing around 10 gigaelectronvolts (GeV). 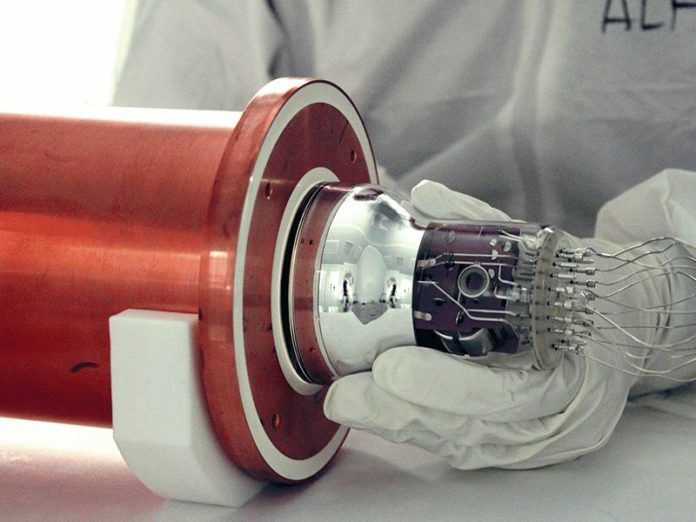 The detector records flashes of light created as particles hit atomic nuclei in a highly purified sodium iodide crystal. These light flashes could be signs of dark matter or stray background radiation but, experiment physicists attributed that the seasonal changes arise due to the Earth moving through a “wind” of dark matter as it orbits the sun– resulting in a repeating pattern. The faster Earth moves, the more dark-matter detections it would make, and so the number of flashes detected would vary throughout the year. Next, in 2018, DAMA collaboration has announced long-awaited results from six years of data-taking, which followed an upgrade to the experiment in 2010. Over the years, several experiments using various techniques have come up with results that apparently contradict DAMA’s. But COSINE and ANAIS are the first projects to have come online that aim to test DAMA’s claims using the same materials, and each has been operating for more than a year. Annual modulation with NaI Scintillators (ANAIS)- a 1st experiment conducted under Canfranc Underground Laboratory in the Pyrenees, Spain, unveiled outcomes that seem to disagree with DAMA’s. Another experiment COSINE-100- which was conducted under a mountain in South Korea, unveiled a similar analysis to ANAIS’s. The detector also sees a fluctuation in its data. According to scientists, it would take several years of data-taking by multiple experiments to truly put the matter to rest. This will help scientists to put a definitive statement.